While it seems likely that a bad credit rating can prevent you from the ability to obtain a loan, this is not necessarily the case. The first thing you should do is determine exactly what your credit score is. This can be done by getting a free copy of your credit report from one of the three credit bureaus: Experian, TransUnion, or Equifax. Legally, you are permitted to one free copy of your credit report annually. This is something that every consumer should take advantage of. Verify all the information contained on your credit report. If any of the information is incorrect, or invalid, contact the credit bureau immediately. The item or items on your credit report that you dispute must be submitted to the credit bureau in writing. The credit bureau is permitted to take up to 30 days to investigate your dispute. Can you get a loan with a bad credit rating? 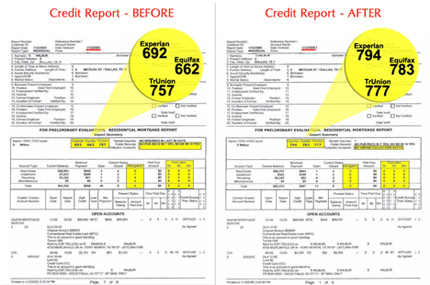 If there are no errors on your credit report, or after the disputed items have been removed, look for your credit score. This is the same number that credit lending agencies will examine. Lending agencies are looking for the highest possible credit score. A lower score may reflect a higher risk, in their eyes. A score of 700 or higher is considered a good credit score. If you have a credit score lower than 700, don’t despair. It is still possible to obtain a loan. Lenders will simply adjust the interest rate on the loan you seek to be slightly higher than it would be if your credit score were higher. Generally, the lower your credit score is, the higher your interest rate will be. If you are attempting to obtain a credit card, rather than a loan, the same rule applies. There are credit cards available if your credit is less than stellar. Bad credit credit cards, are simply credit cards that have some sort of built in protection for the bank that offers the card. Some of these bad credit credit cards are secured cards. With secured credit cards, you deposit a certain amount of money and you use the credit card as you would use any card, with the charges being debited from your initial deposit. For example, you deposit $500 towards your secured credit card. You charge $100 at a gas station, that $100 is debited from your deposit, leaving you with $400 left on your credit card. These secured credit cards are a very good way to rebuild your credit if you’ve had credit issues in the past. Secured credit cards do not show up on your credit report as anything other than a credit card. There is no differentiation between a secured credit card and a regular credit card on your credit report. Don’t look at your bad credit as a deal breaker. If you have trouble obtaining a loan, consider hiring a loan broker. Loan brokers are often able to obtain loans for those with less than perfect credit.